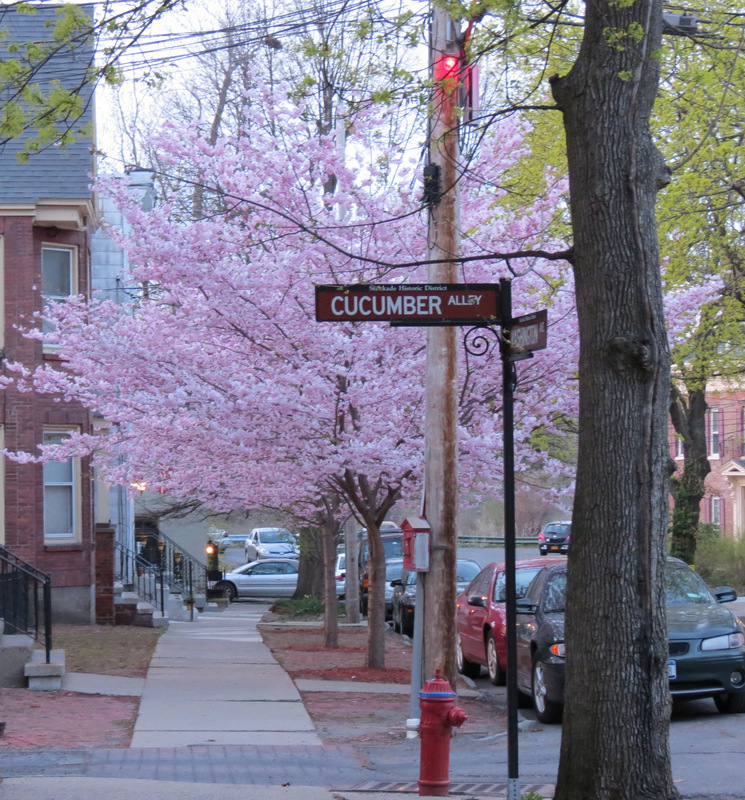 Yes, our Stockade cherry blossoms are late this year, and after two disappointing years, some folks are fearing another lost cherry blossom season. But, the buds on the photo to the right, taken about noon today, on April 27, 2018, suggest we may have a good crop coming soon. 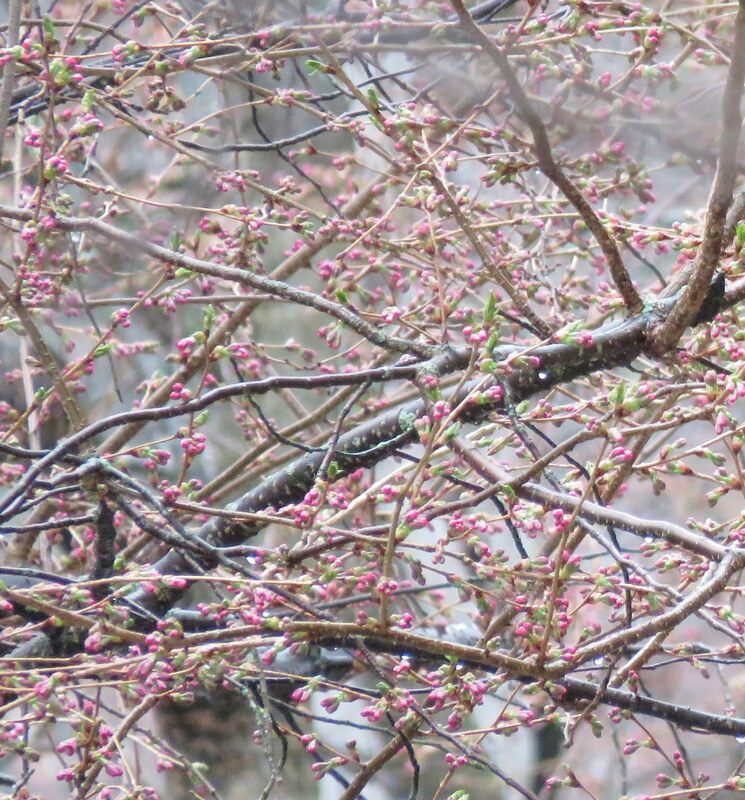 The forecast for a bit of sun and showers over this weekend, plus warm, sunny days on May 1 and 2, could mean that this year our cherry blossoms will be those May Flowers we are promised after April showers. 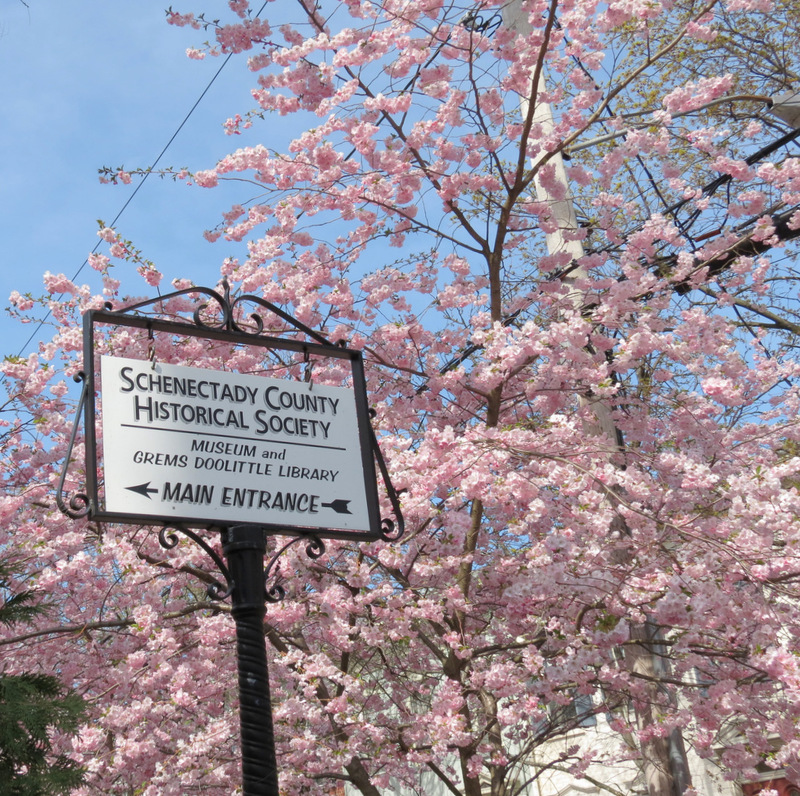 Below is a collage with side-by-side comparison of Schenectady scenes on April 28, 2013 and today, April 27, 2018. (Click on it to enlarge.) 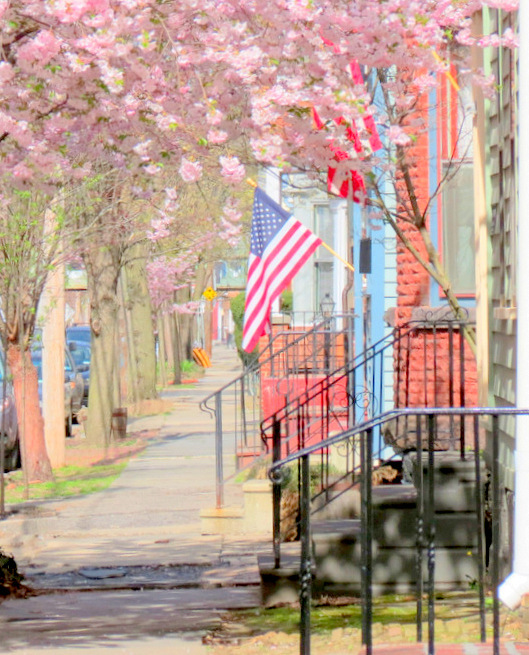 I do not think that Saturday April 28, 2018, will bring us a full array of Stockade cherry blossoms, but I will look out the window as soon as I awake tomorrow morning just in case. 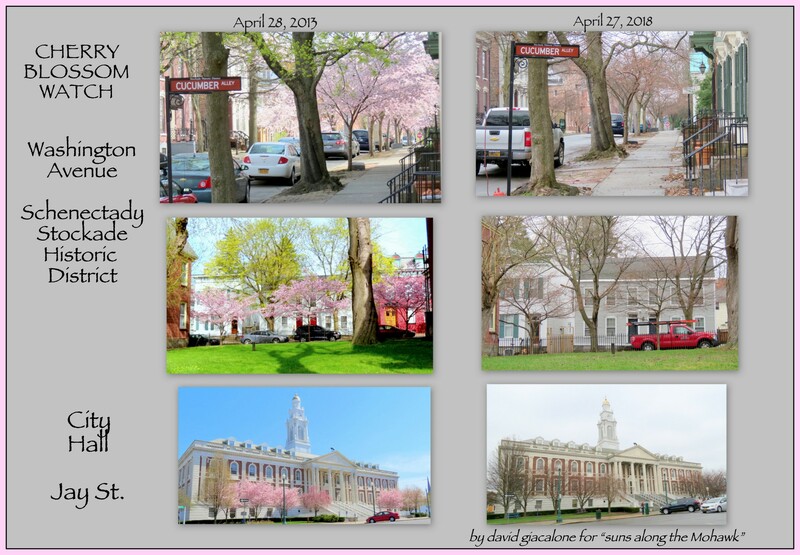 to see our coverage of Stockade cherry blossoms over the past decade, check out the postings in this Cherry Blossom Search list. update: See “May Day brings a breath of blooming beauty” (May 1, 2018). 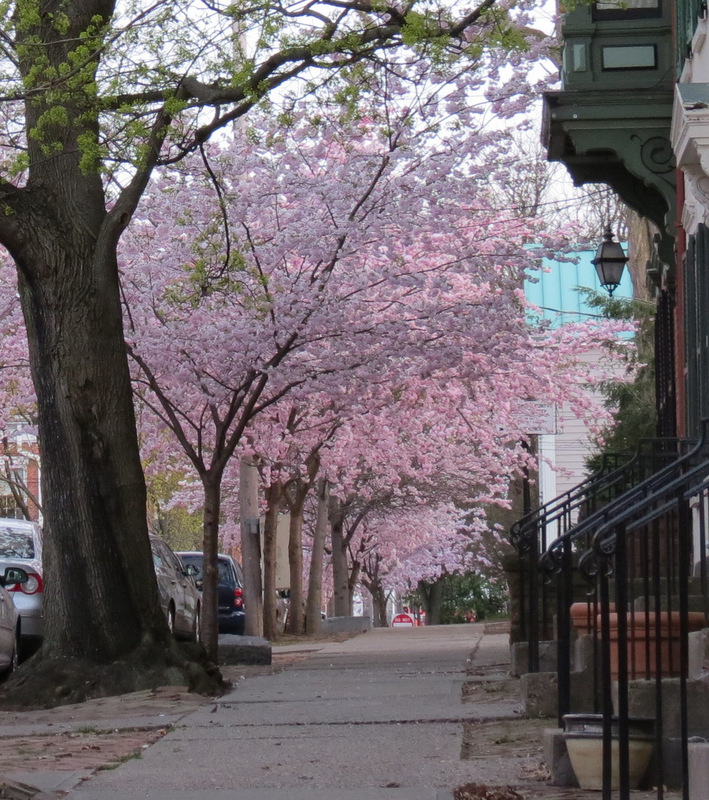 . . above & below: Cherry Blossoms in late April 2013, on Washington Avenue. .